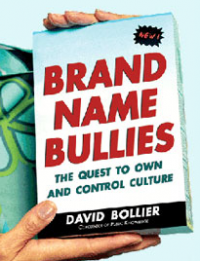 My year got off to a zippy start when Ralph Nader named my new book – due out in February – as #1 in his list of “Ten Books to Provoke Conversation in the New Year.” Thanks, Ralph! Think Like a Commoner: A Short Introduction to the Life of the Commons is my attempt to introduce the commons to the lay reader and concerned citizen. 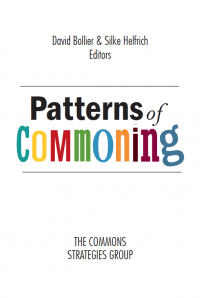 I wanted to explain the commons in simple but not simplistic language while pointing toward the many deep and complicated aspects of the commons, and to the diverse points of entry to the subject. My publisher is New Society Publishers, known for its environmental and activist-minded books. 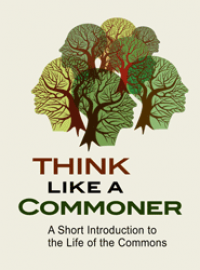 Think Like a Commoner is my best effort to provide a succinct, lucid overview of the commons. In relatively short chapters, I discuss its history, academic scholarship and many cultural variations. I explore the political and economic implications of the commons and dozens of activist fronts and working projects. 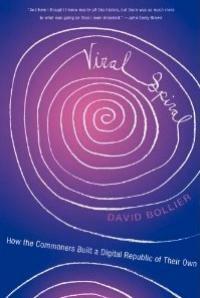 I also look at the international commons movement and provide a list of further reading and other resources. It’s no exaggeration to say that it’s taken me fifteen years to write this book! While Silent Theft, my first foray into commons research and scholarship, came out in 2002, I’ve had quite an odyssey of reading, debate, conference-going and reflection over the past decade. I decided it was important to circle back on myself to try to make better sense of the commons, ten years later, and to try to communicate it more clearly. 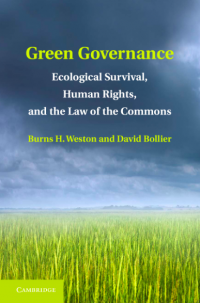 “The biggest tragedy of the commons” is the misconception that commons are failures – relics from another era rendered unnecessary by the Market and State. 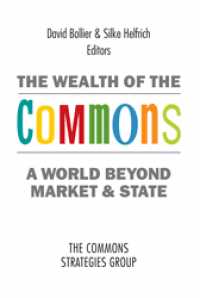 Think Like a Commoner dispels such prejudices by explaining the rich history and promising future of the commons – an ageless paradigm of cooperation and fairness that is re-making our world. Is an exploding field of DIY innovation ranging from Wikipedia and seed-sharing to community forests and collaborative consumption, and beyond. I’ll have more to say about the book when it arrives in February, but for now, let me just say that I’m excited about this book and the chance to talk about it on the Web and on a book tour. If you have any ideas for me in that regard, drop me a note. Karen's post ends with a short mention of my book. Thanks, Karen! Sorry the book isn't available right now -- it's at the printer -- but I’ll have more to say in about a month. In the meantime, browse Ralph's list of books for 2014, read Karen Johnston's blog….and check out the early version of my book website. Update: A reader points out that Billy Bragg's version of "The World Turned Upside Down" is a cover version; the song was written by Leon Rosselson. Here's a YouTube version oof Rosselson singing it; song starts at about 2:50.